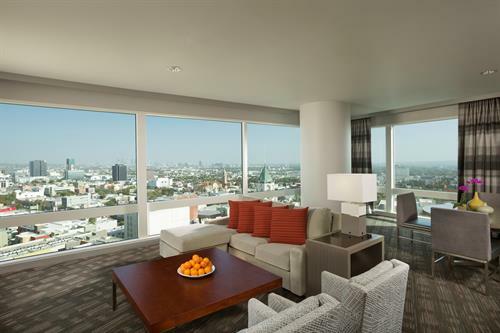 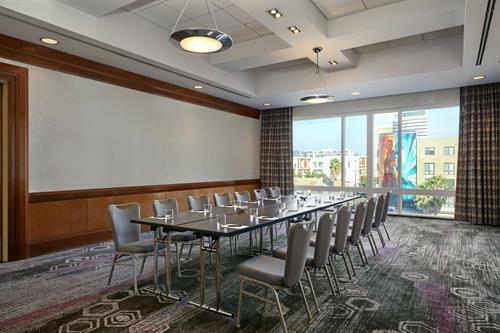 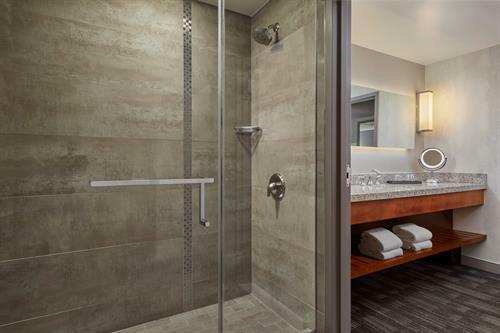 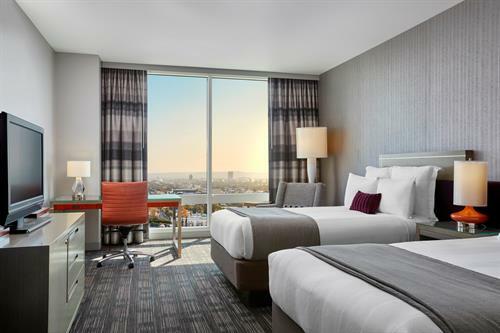 Situated in Los Angeles’ most revered neighborhood, Loews Hollywood Hotel rises 20 floors above the famed intersection of Hollywood and Highland. 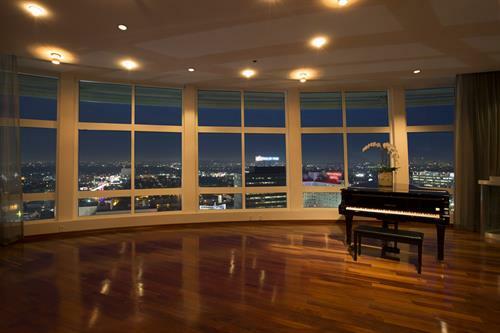 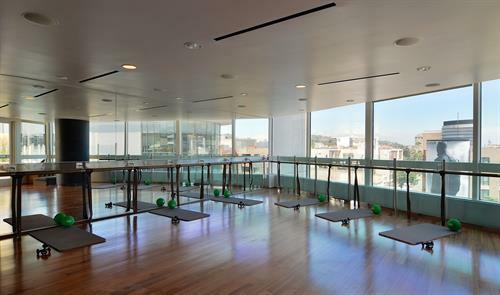 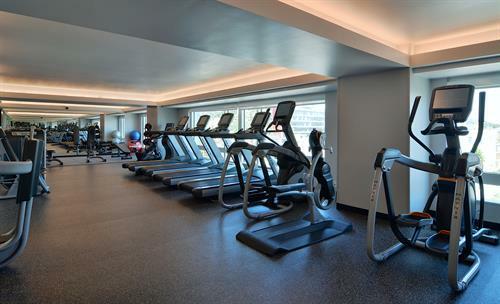 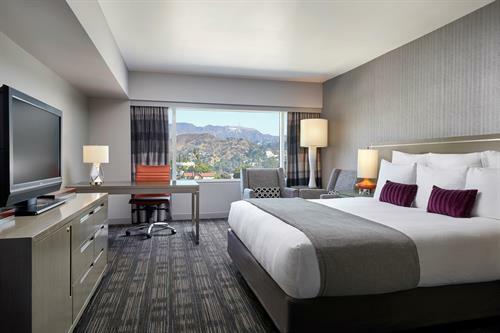 Spectacular views of the iconic Hollywood sign and Los Angeles cityscape set the stage for 628 rooms including 113 spacious suites, as well as the rooftop pool, yoga studio and 24-hour fitness center. 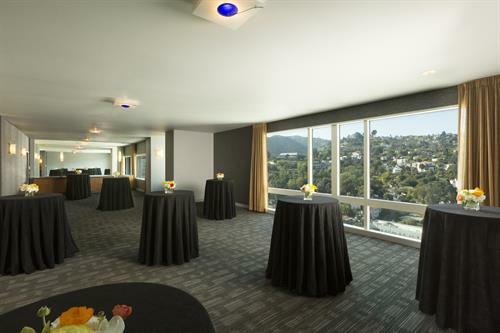 Located on the Mezzanine Level overlooking Hollywood, the Preston’s restaurant serves California-inspired contemporary American cuisine for breakfast and lunch. 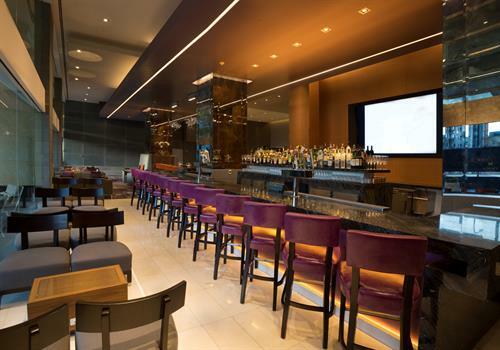 As the social yet relaxing heart of the hotel, the lobby lounge, H2 Kitchen & Bar features a wide variety of signature craft cocktails, as well as a menu of innovative small bites and classic comfort dishes from Executive Chef Mark Ching. 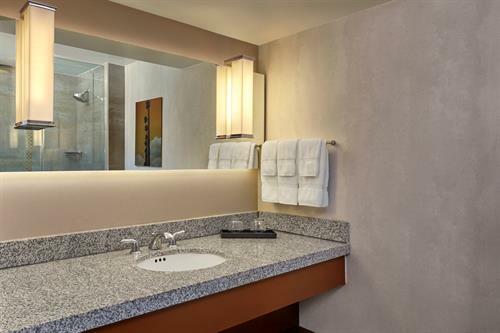 Bodega is perfect for grabbing on the go items. 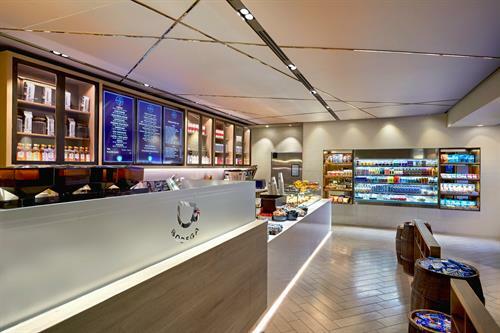 Bodega features Starbucks coffee drinks, wines and craft beers, as well as other favorites including artisan pastries, pressed juices, and organic snacks. 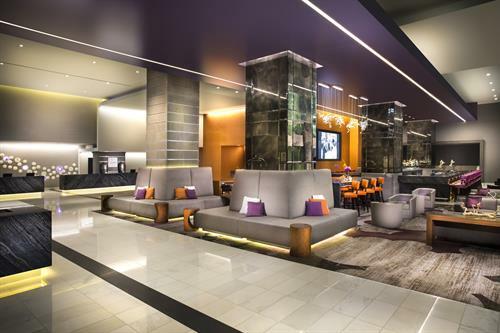 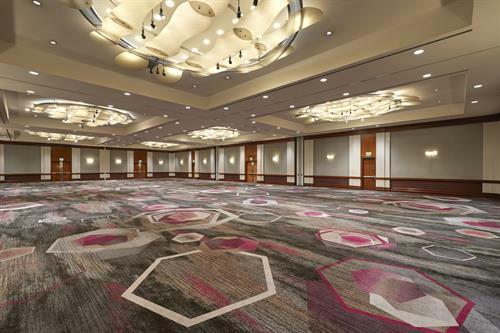 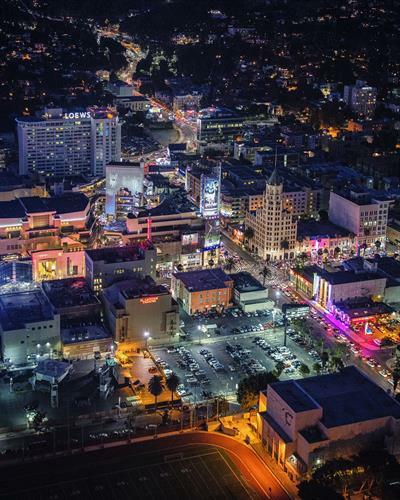 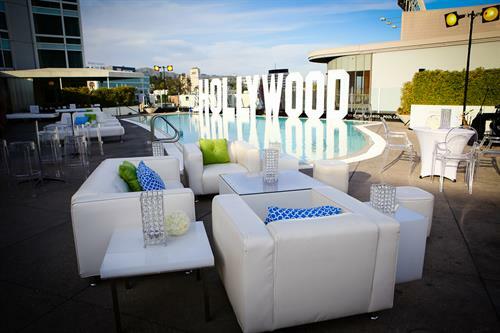 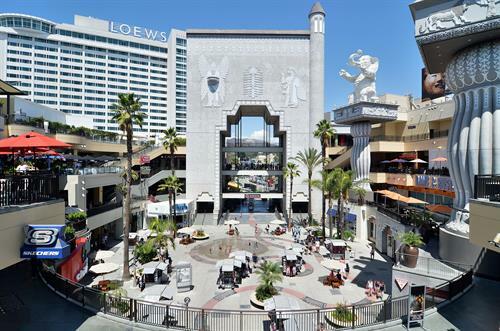 The hotel is the centerpiece of the Hollywood & Highland complex, where guests have direct access to over 70 shops, 25 restaurants and eateries, 12 bowling lanes, seven movie screens and the Dolby Theatre, where the Academy Awards are held. 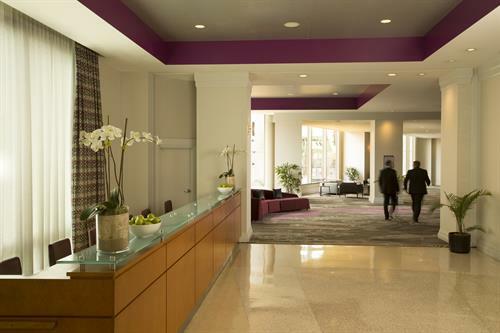 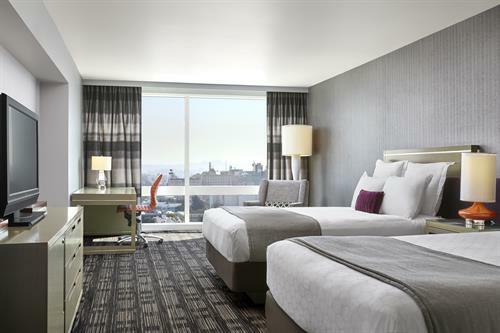 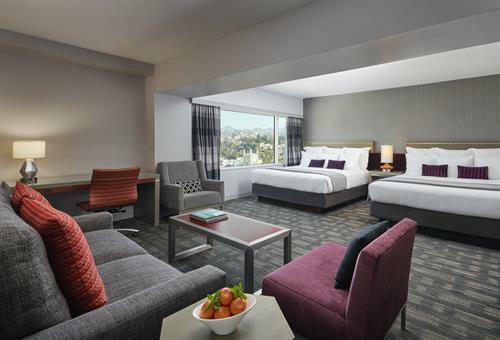 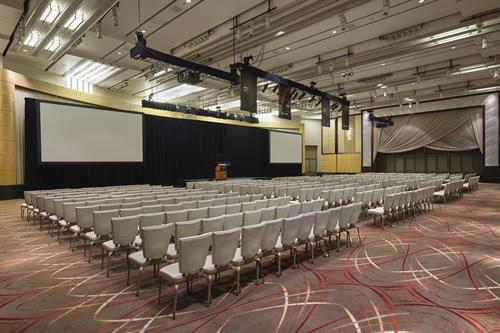 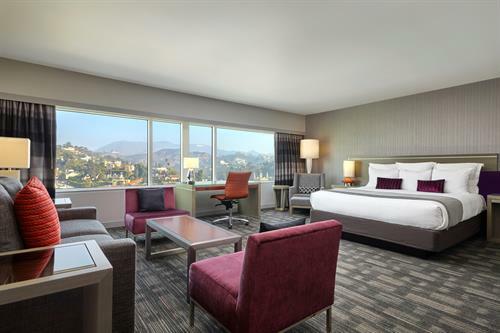 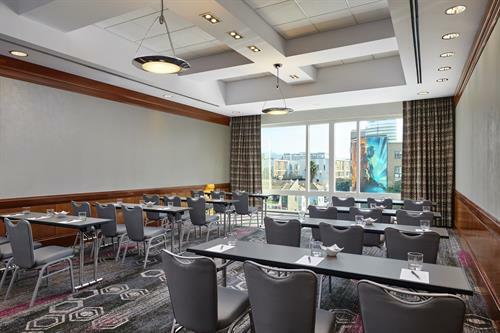 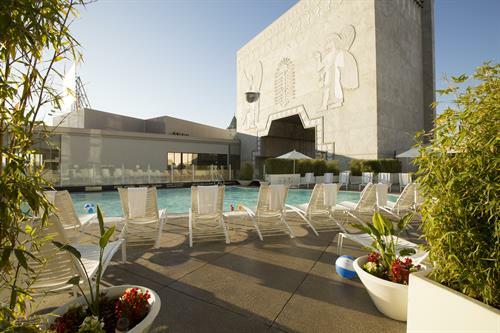 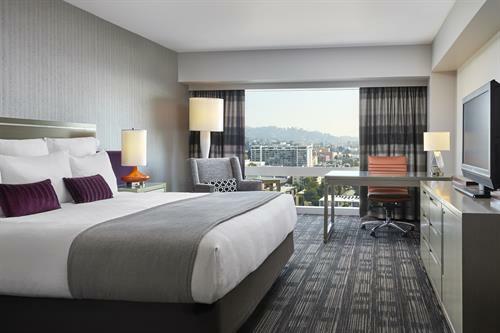 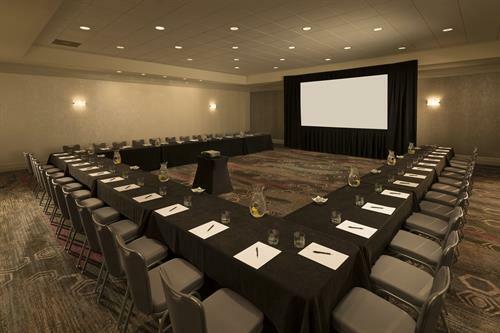 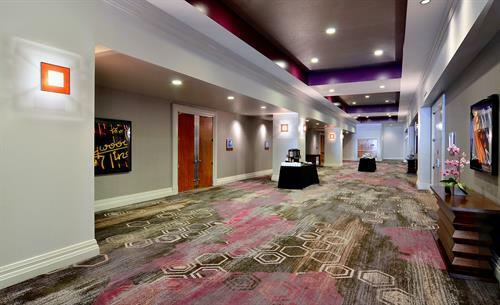 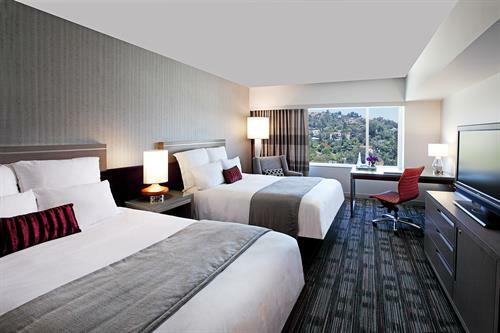 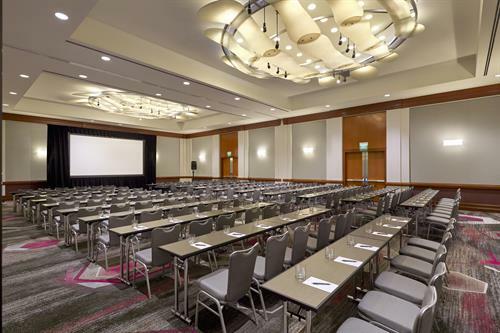 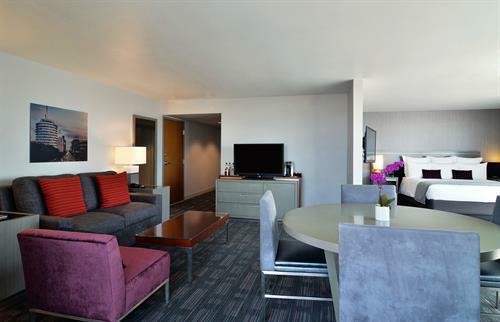 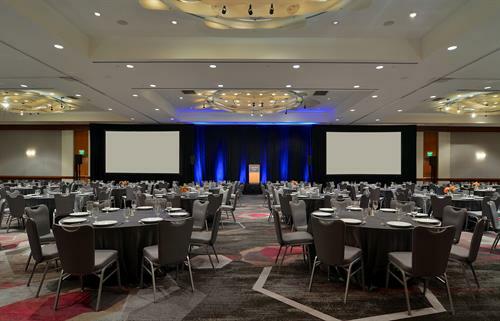 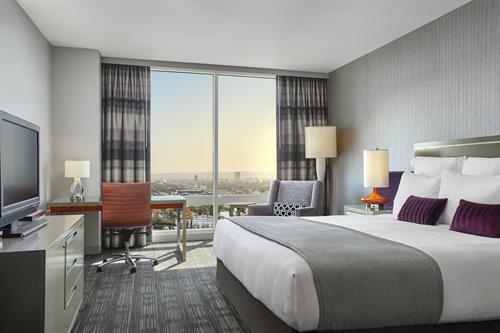 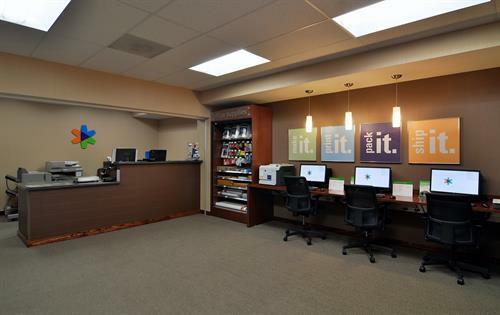 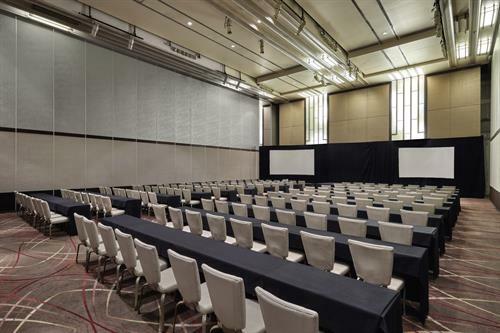 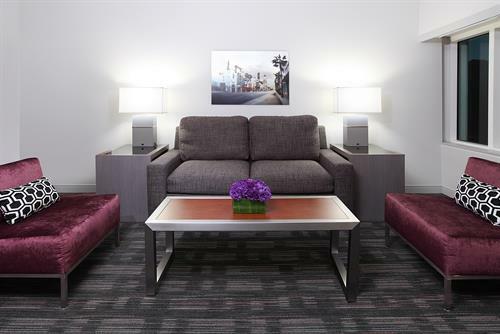 Loews Hollywood Hotel is 13 miles from Los Angeles International Airport (LAX) and seven miles from Burbank Bob Hope Airport (BUR).